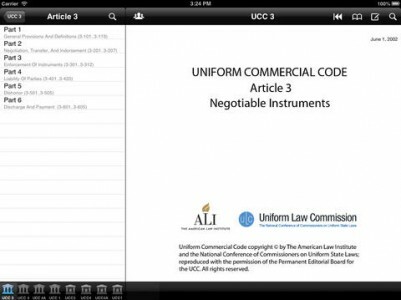 Instruments, Deposits & Funds for the iPad is the complete resource for negotiable instruments, bank deposits and collections, and funds transfers. Instruments Deposits & Funds for the iPad is the complete resource for negotiable instruments, bank deposits and collections, and funds transfers. An absolute must for the practicing attorney, judge, law student, or turnaround consultant dealing with issues of negotiable instruments, banks, and banking.